On January 31, 2019, Faithfulness class (upper) had a minitrip at Glenak-Glenik Craft Studio. In the morning, after we had circle time and did some unfinished works, we were divided into six groups along with 7 teachers and went to the location using online transportation. During the journey there we had to do an assignmet, which was to list public places we could see. We arrived there at around 9 o’clock in the morning. Bu Widya, as the owner of Glenak-Glenik craft studio, welcomed us warmly. We gathered at her living room first. Then after a speech from Ms. Sari as the teacher of Kalyca Montesorri School, Bu Widya began her session. She explained us about the difference between synthetic dyes and natural dyes. She showed us that there were many natural dyes around us, such as avocado’s seed, mahogany’s bark, mango’s leaves, onion’s skin, etc. 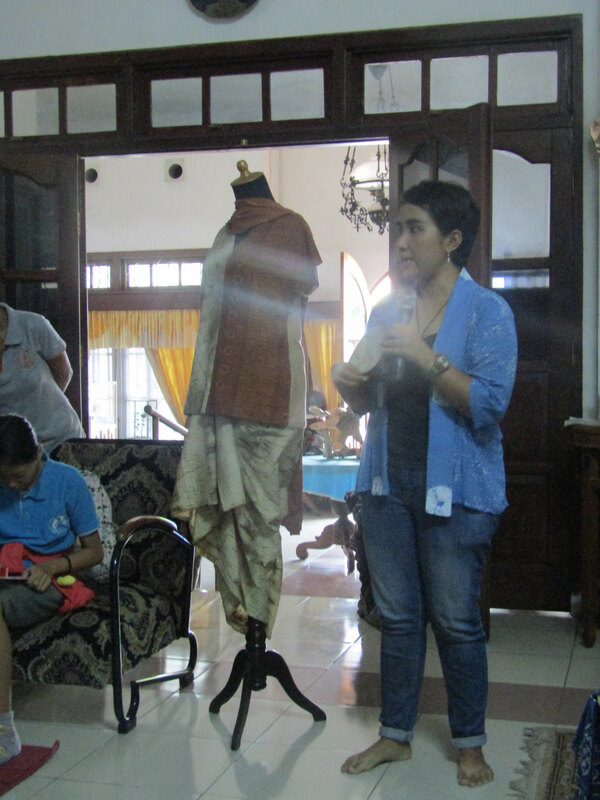 Bu Widya also showed the result for each natural dye when it was applied in fabrics. From the fabrics that had been dyed using natural ingridients, Bu Widya changed them into attractive attire, such as blouse, scarf, bag, wallet, and even necklace. We learned that hobby could bring economic profit for us too. 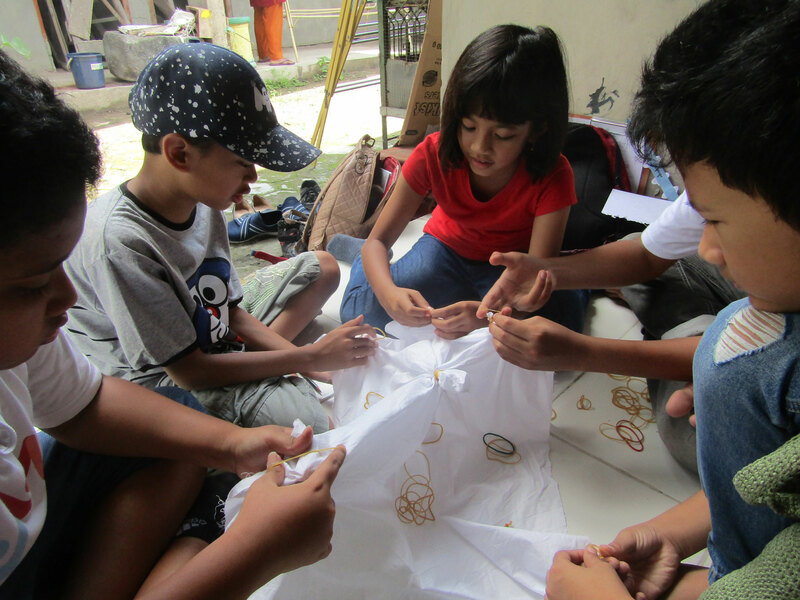 Then Bu Widya also explained about shibori techniques and how to do it step by step. After that, we moved to her backyard to practice the shibori technique. We learned to draw the pattern then to use rubber band to make circle pattern and fish’s fin pattern (by bounding the fabrics in certain ways). 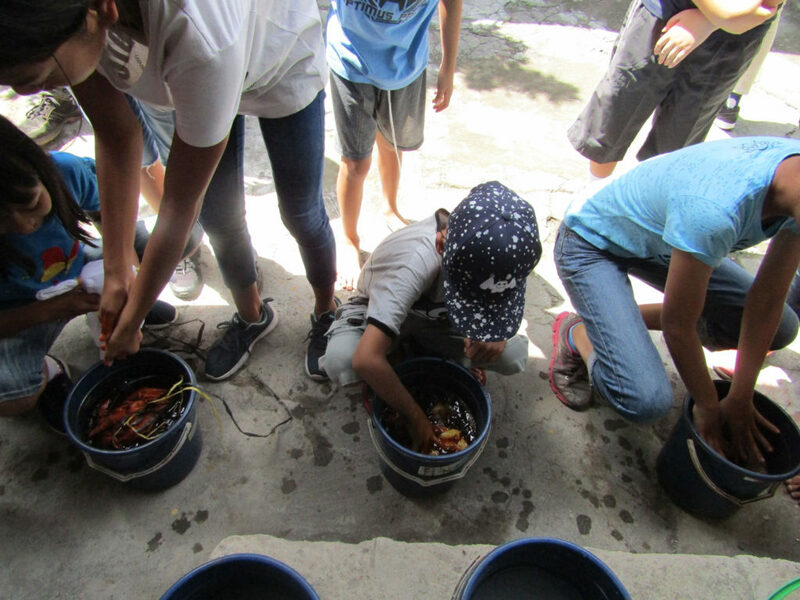 After that we soaked the fabrics into water that was mixed with potassium alum, rinsed the fabrics, then soaked them again in water that had been boiled with the natural dyed. We had 3 colours which were from tingi’s bark, mango’s leaves, and mahogany’s bark. After 30 minutes we rinsed the fabric and opened the boundings. We could see the patterns clearly. They were great! Then we directly dried them under the sun. After that we had to do Bahasa Indonesia assignment. 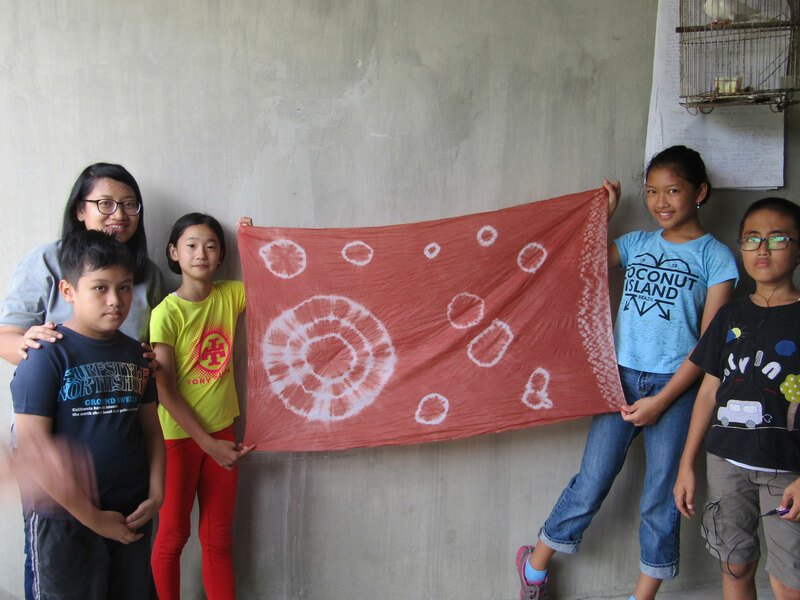 We wrote down the process of dyeing fabric using Shibori technique in Bahasa Indonesia. When every assignment had been done, we closed our session there. We said thank you to Bu Widya and took pictures together. By the way, the fabrics that we dyed would be used as our classroom’s tablecloths. Awesome!